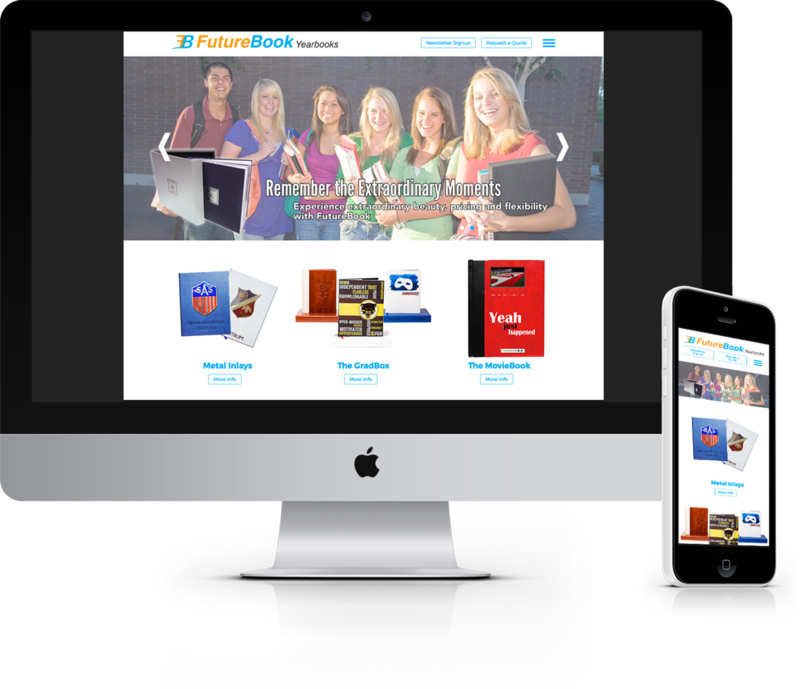 The yearbook business is very competitive across North America, FutureBook is one of the leaders and needed a website refresh to continue accelerating their brand. I teamed up Panda Studios to come up with a clean and simple design that showcased their product beautifully. The responsive website features various products offered by FutureBook including the very special MovieBook. To display the MovieBook and catch the users eye right away we created short animated gif’s to reveal there is actually a movie playing on the book cover. The website also contains special pages specific to schools who would like to make their yearbook ordering and payment available online. The website connects to Stripe Payments Pro and makes it extremely easy for students and parents to make their yearbook purchase. Learn more about responsive websites.